For some time now, the United States’ two dominant political organizations have functioned less as real political parties than as corporate fundraising platforms and vehicles for the promotion of big money candidates. 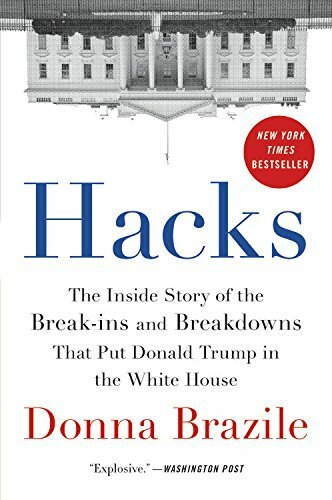 Donna Brazile’s new campaign memoir offers a highly readable and entertaining window on how this problem played out in the Democratic Party, permitting the election of Donald Trump last year. Much of this volume is problematic. Clinging to an absurd image of Hillary Clinton as a noble champion of social justice and human rights, Brazile demonstrates no sense of Mrs. Clinton’s deeply conservative, corporatist, militarist, and imperial record and world view. Brazile shows no understanding of how Barack Obama’s corporate-neoliberal, imperial, wealth- and power-serving presidency contributed to Trump’s ascendency. Brazile reveals little understanding of the depth and degree of the moral and ideological division between progressive Bernie Sanders Democrats and the reigning Clinton-Obama-Wall Street Democrats. She would have readers believe that the conflict between these two Democratic Party factions stems essentially from WikiLeaks and Russian cyber-hacking. Brazile is unconvincing in her claim not to recall having used her role as a CNN commentator to send the Clinton campaign advance looks at debate questions during the presidential primaries. It is hard to take seriously Brazile’s claim to have had the power to “replace [Hillary] as the [Democratic] party’s candidate for president” in September of last year. Much of Hacks is dedicated to the notion that Vladimir Putin and Russia gave the election to Trump by hacking the DNC. Brazile sees Trump’s election largely as an assault on U.S. “democracy” by Moscow. Unfortunately, Brazile offers no substantive evidence for this paranoid belief. She relies on what she was told by an unnamed and mysterious “Spook” (her term) and the DNC’s hired cybersecurity experts. Brazile complains about “Russian interference” in U.S. elections without acknowledging that Washington regularly interferes in other nations’ political processes, or that whatever influence Moscow may have had on the election is a drop in the bucket compared to the controlling power regularly exercised on U.S. electoral politics by top U.S. corporations and financial institutions. Brazile denies that the corporate Democratic Party rigged the primary campaign against the progressive Democrat Bernie Sanders—a charge for which there is abundant evidence. At one point, Brazile defends Hillary against Trump’s claim that Mrs. Clinton helped write tax laws that favored the rich by saying that “Hillary has not served in Congress, the branch of government that writes the tax laws.” Does Donna Brazile not know that Hillary Clinton was a U.S. Senator from New York from 2001 to 2009? Here Brazile revealingly fails to mention that Bernie Sanders had run precisely the kind of campaign that she identifies as the kind that succeeds: one that advances by “getting citizens more engaged in their democracy and giving them a voice . . . mak[ing] supporters feel that they hold in their own hands the power to change the country.” Did she really not know about the giant crowds that turned for Sanders because he campaigned in exactly the way Brazile says she “craves”? Brazile’s primary revelation is that the DNC was under the explicit, contractually obligated financial and programmatic control of the Clinton campaign by August 2015, well prior to Hillary’s securing of the Democratic Party’s presidential nomination. Brazile demonstrates no conscious understanding of the important fact that Sanders would very likely have defeated Trump. Still, it is hard not to pick up from Hacks a sense that Sanders would have fared better against the orange beast. Brazile repeatedly notes Mrs. Clinton’s failure to elicit popular excitement on the campaign trail. What Sanders understood and Brazile still does not was that the “lack of enthusiasm” for Hillary was rooted in Mrs. Clinton’s longstanding and ongoing ideological and financial attachment to the nation’s economic wealth and power elite. Brazile significantly includes black and other minority voters among those who were less than excited about Hillary. That is an important observation in light of the exaggerated emphasis many commentators have given to the Democrats’ failure to turn out and win “white working-class” voters last year. Hillary failed just as significantly with the black and Latino lower and working classes, which “Brooklyn” took for granted in light of Trump’s racism and nativism.